I received a commission request through Etsy about making a Fiery mask.I had to giggle to myself as they explained that they were the ones who took their heads off in the movie. I thought, "This is the Labyrinth master you're talking to...of course I know who they are!" I funny thing is, I had already planned to make a Fiery mask long ago, like probably right around the time I first created this blog. I even had a nose piece in production to make this guy. Chilly Down with the Fire Gang! I sent her the picture to give her an idea of what I meant, and she said that was the exact one she had in mind! Isn't it weird when things line up like that? I have a lot going on, but I figured this was something I had planned to do anyway, and this was just an impetus to get it done. The one snag was that the original craft fur I had ordered years ago turned out to be an incredible flop for the purposes I wanted it for. It was fly away and stringy, nasty stuff. Nothing like the beautiful hair I used for Ludo's mane. I decided right away I wanted to see if I could find that fur again to use for this instead. I did find it on Ebay, and ordered the colors I needed right away! From the side - check out the neat ridges around the eyes! 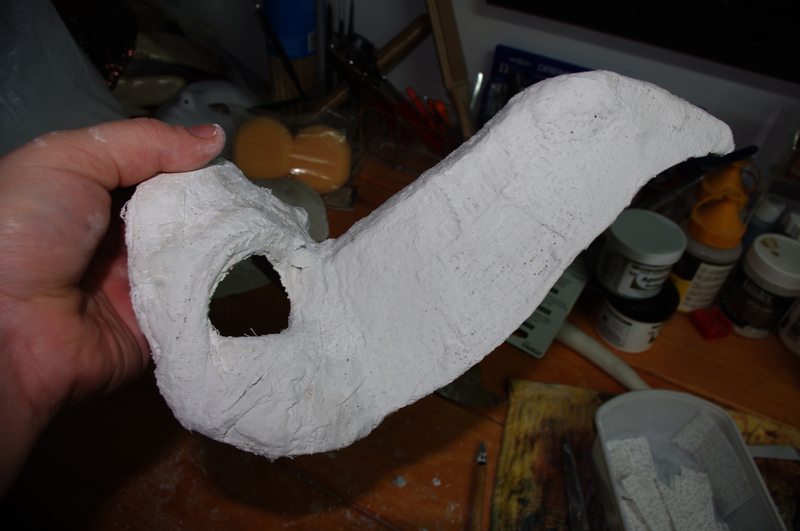 I then got to attaching the nose I had made to to a base mask made of plastwrap cloth. I made the nose out of cardboard and masking tape to hold it together and hotglued it the plastwrap. Then you have to go over it again with plasterwrap cloth to make sure it's all nice, secure, and uniform. I employed a new technique with this mask that just kind of happened. To basically fold the strips of plastercloth, then wet them, and then attach them. It has to be done super quickly or else the cloth wants to fall off, but it has an awesome look to it. 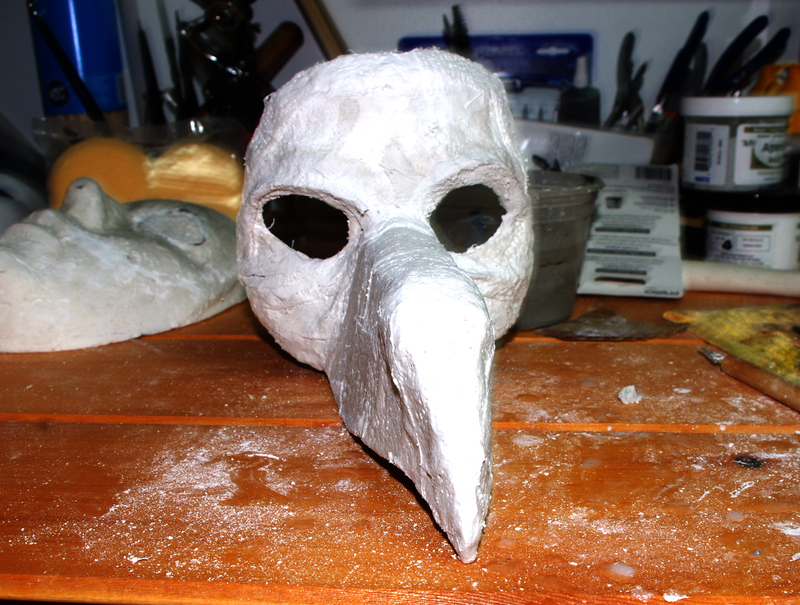 This is what the mask looks like so far, and now I'm mostly waiting for the fur to come in the mail so I can figure out how I'm going to weave in the white and gold fur to the red fur.I'm going to add some molding to the outside of the 'big beak' to help give it a more muzzled look. It should come together nicely.